Chute opens as running begins. Approximately 15 lbs of resistance. 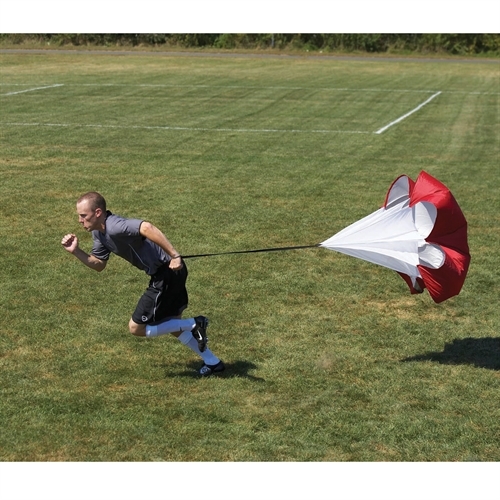 Our Kwik Goal Resistance Chute is a part of KwikGoal's Soccer Speed Training Series.The speed training parachute is a very popular training device for speed.